U-Haul International is one of the healthiest employers in the Valley for 2018. The Phoenix-headquartered DIY moving and self-storage company was once again recognized as one of the top 10 honorees in the large business classification at The Valley’s Healthiest Employers Award breakfast Thursday at the Hyatt Regency in Scottsdale. 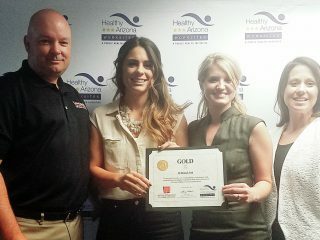 This marks the second consecutive year that U-Haul has been tabbed one of the top 10 healthiest large businesses by the Phoenix Business Journal. In addition to expanded features surrounding the highly acclaimed Healthier U program (which helps Team Members in their pursuit of better wellness through health, mindset, nutrition and fitness), the creation of the Midtown Farmers Market hosted by U-Haul this year has been a smashing success for the Company and Midtown Phoenix community. Since January, the monthly event takes place on the U-Haul Midtown Campus. It provides Team Members, along with neighboring businesses and residents, the chance to support sustainable food practices and local farmers. This occurs while engaging in healthier eating options. 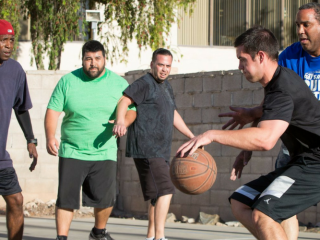 More exciting news is also on tap as U-Haul continues to grow its health initiatives in an effort to become one of the nation’s healthiest employers. U-Haul soon intends to expand its Midtown Campus with a conference and fitness center for Team Member use. U-Haul has quickly emerged as a leading choice for young professionals seeking a health-conscious company to acquire their services. From its new corporate café and vending machines serving healthy options; to its gym and dietitian reimbursement benefits; to its regular fitness challenges and annual U-Haul Active Day; more and more job seekers are finding U-Haul to be a wellness destination for today’s dynamic and mindful employees. Find career opportunities at U-Haul by visiting uhauljobs.com.